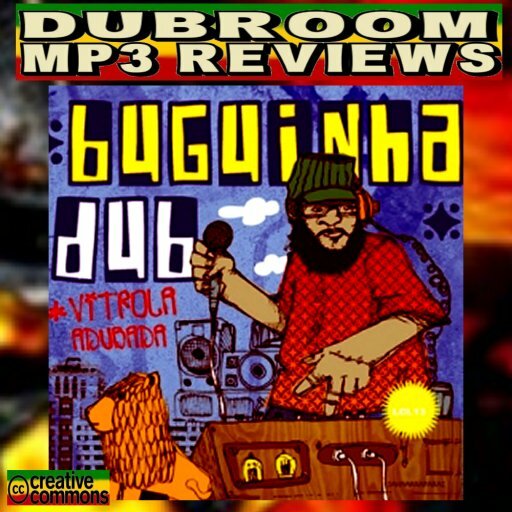 WWW, September 2009 - This surprisingly creative album by the Brazilian Buguinha Dub is filled with intermezzo's, sound clips and effects. All of that on top of some very interesting drum and basslines. Drum and Basslines, plus all kinds of instruments. From saxophone solo's to violins, just think of it and it's used somewhere in this joyful Dub album, of which many -not all- of the riddims are played in traditional Roots Reggae style. The South American vibe is present from the top to the very last drop, where the remarkably creativeness of the Dub Engineer comes to view in every moment of the album as well. Buguinha Dub is a Dub Engineer in his daily life, where he doesn't mind working live or in the studio. For this album, he gathered some of the best musicians around to play a variety of beats of which, as said, many are played in Roots Reggae style. The vibe in the studio was set to have the musicians improvise as much as they could, after which the recordings were transformed to this surprisingly interesting DUB Album.